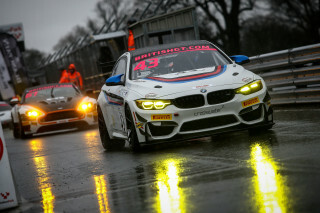 Easter weekend marked the much-anticipated debut for Century Motorsport’s brand new BMW M4 GT4s at the season opener of British GT at Oulton Park. 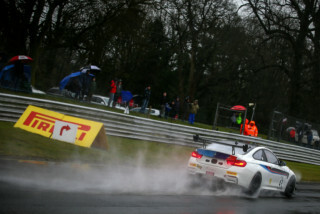 Treacherous weather conditions led to Race 2 being abandoned after just a few laps behind the safety car on the Cheshire-based track which looked more like a river, leaving the drivers and the team with only one hour of racing experience in the new cars. 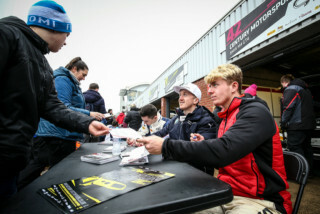 The drivers and the team headed to the next round at Rockingham (28th – 29th April) with high hopes, after having learnt a lot about the cars despite them only being out for one hour in the wet. Rockingham race weekend saw the team welcome Century-regular Aleksander Schjerpen to partner with Jack Mitchell in car 43. 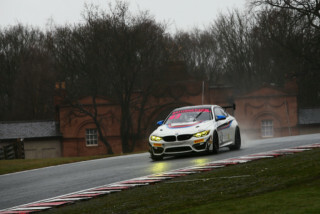 Schjerpen couldn’t make it to the season opener at Oulton Park and Ricky Collard, BMW Motorsport Junior driver, took the seat for the weekend, getting the car off to a very good start. The free practice session on Saturday morning at Rockingham was the first time Schjerpen had ever driven the car so he had a lot to learn with very little time due to more wet weather causing incidents on the track with several safety cars out during both practice sessions. Schjerpen and Green never actually got to complete one single lap in the second practice session. Luckily Sunday was forecast to be dry for the race. Schjerpen improved from practice into qualifying and ended up qualifying eleventh overall (eighth in class) however this position was later dropped by three places due to a yellow flag infringement. Ben Green was also in the first qualifying session. He came out with an impressive third overall (and third in class) but like Schjerpen, his position was also dropped by three places for the same offence. The second session of qualifying seen Ben Tuck and Jack Mitchell qualify in seventh overall (third in class) and 14th overall (seventh in class) respectively. The race format for Rockingham consisted of a single endurance race lasting two hours, with one driver change after sixty minutes. Sunday afternoon just after 1pm, the cars were lined up on the grid ready to race in the blustery winds – Schjerpen in car 43 on row 13 and Green in car 42 on row nine – when the rain started to come down. 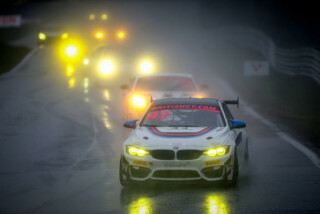 The race started off in rather greasy conditions with all cars out on slicks however the rain turned to a light drizzle that didn’t last too long. 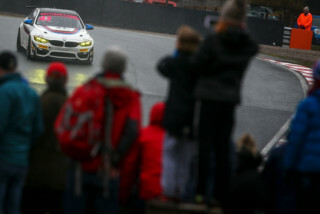 Schjerpen started the race off for car 43 and slipped back a little after initially maintaining his position, dropping four positions by the sixth lap. He then managed to climb up three positions with the aid of a safety car during the eighth lap and for the remainder of his stint he stayed there or thereabouts. Schjerpen was called to the pit for the driver change during lap 45. 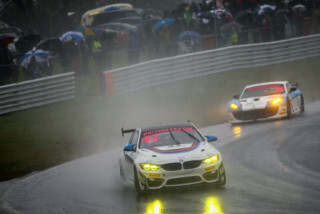 After an intense wait in the pits, due to their 10-second success penalty, Mitchell took over and returned to the race during a safety car period, making it very difficult to regain position. 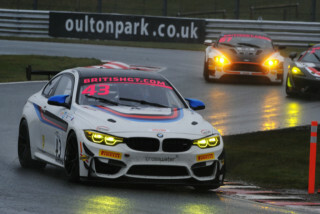 He managed to put in a strong stint and ended up finishing 12th overall (eighth in class).